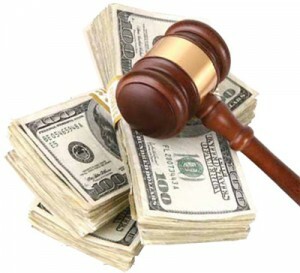 In Order To Reinstate My New Jersey License, Can I Set Up A Payment Plan To Pay My DUI Fines? Can I Establish A Payment Plan To Pay Outstanding DUI Fines And Fees And Get My License Reinstated In New Jersey? You may be able to negotiate a payment plan with the court in your municipality, and with the agencies responsible for surcharges and license restoration. Regarding DUI fines, there are hardship payment plans available through the MVC for people receiving certain government benefits like unemployment, TANF, and SNAP. One of the traps that the State of New Jersey ends up catching many people in is by creating a series of high fees and fines for things like DUI, then charging interest on unpaid balances, which makes the payback harder and harder to make. If you’re dealing with outrageous balances stemming from a DUI conviction in New Jersey, you may have options you don’t know about. Attorney Matthew Reisig can help you find ways to approach your fees and DUI fines and get back on the road. If you have questions regarding DUI fines,call 732-625-9660 today for a free consultation with an experienced New Jersey DUI/DWI attorney. Next post: I Was Arrested For DUI In New Jersey After Refusing To Take A Field Sobriety Test. What Happens Now? Previous post: I Think My DUI Stop In New Jersey Was Illegal. Can I Fight A DUI Charge On Probable Cause Grounds?